Even those individuals that brush and floss regularly can find themselves less than happy about their smile. Over time your teeth can become stained, chipped, cracked and damaged. Whether it is from decay or simple use, your teeth can create problems with your smile. You don’t have to settle for less than beautiful teeth. Mendelson Family Dentistry, in Owings Mills, PA, is a cosmetic dentistry expert that can provide you with whiter and brighter teeth that you can be proud of. Dr. Herbert Mendelson and Dr. Harold Mendelson can show you the many options available to improve your smile. When visiting the Owings Mills cosmetic dentistry facility, you will learn about such services as teeth whitening, veneers, crowns and more. The dentist will work with you to create a plan to achieve the smile of your dreams. Whether you need your teeth to be smoother and whiter or you want to hide cracks and chips, veneers could be the answer. 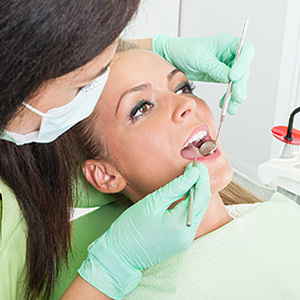 The dental professional will take x-rays of your mouth so that he can see what is going on below the surface. If your teeth are not as straight as you want them to be, Invisalign may be the answer. Thanks to the many advances in technology, you don’t have to live with a smile that you are unhappy with. Laser dentistry makes procedures easier than ever and recovery time less. You can have a new smile in as little as one or two visits to the right dental team. Don’t wait to learn about all of the excellent opportunities you have to improve your smile. Dr. Herbert Mendelson and Dr. Harold Mendelson are Owings Mills, PA, cosmetic dentistry experts that can help you find confidence in your teeth. 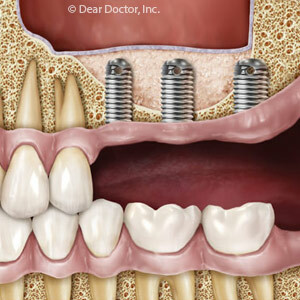 The process of veneers, crowns and bridges is well worth the results. Call us today at 410-356-4100 for more information.